Meet the brains behind the making of Desert Shadows. 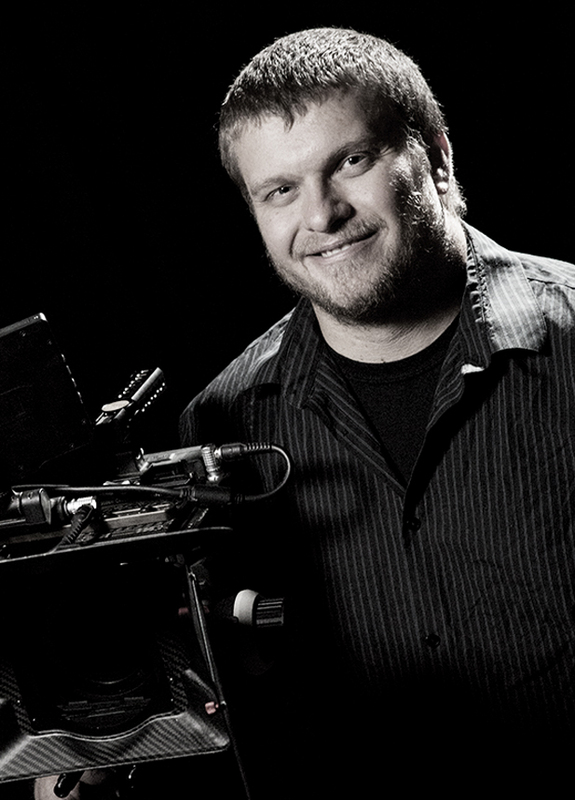 Tyler Bourns is a Canadian Born Producer/Director/DP based out of the United States. He first broke into the industry in Los Angeles, working in a myriad of positions including technical director on instructional music videos featuring members of Korn, Rob Zombie, Godsmack and more. His career began to grow after Directing an anti-meth PSA featuring Bryan Cranston. And after years of award winning work as a freelancer, Tyler opened a full service video production company and studio - Bourns Productions Inc. which produces award winning commercials, tourism campaigns, documentaries and more. Tyler's compelling and story based visual style has been seen on PBS, MTV Movie Awards, The Insider, CBS, CBS Sports, Entertainment Tonight and at top festivals around the country. He is also responsible for producing all of the video content for the legendary band Whitesnake- including music videos, web content and concerts. Recently, Tyler produced the award winning short film Dear George, which has been selected to over 20 film festivals across the world. It also screened at the 2017 Cannes Film Festival and has secured a Feature Film Development Deal for 2018. He continues to grow Bourns Productions while also serving as a Producer, Director, and/or DP on numerous narrative film projects. With over a decade of experience working in production, Alphonse Polito is an award winning producer in both the commercial and film industries. After studying theater at the University of Nevada, Reno, he spent the majority of his early career in front of the camera aspiring to be an actor. Now, and for nearly 15 years, Al lives on the other side of the camera- having produced content in many mediums, including award winning short and feature films, as well as nationally recognized marketing content for some of the largest companies and corporations on the west coast. His vast knowledge of problem solving, budget management, and large scale productions is an asset to any project, and the creative approach he brings to teamwork and execution ensures productions are handled with efficiency, passion, and ultimately success. For over 20 years Steve Duval has traveled the world as an international cinematographer and video producer. Steve’s passion for storytelling began when he jumped into the world of Reality Television, getting his first break as a camera operator on the CBS hit series “Big Brother” and later on “The Amazing Race”, which he has now shot over 18 seasons of. Steve’s career has included a diverse variety of national television shows including 5 seasons of National Geographic’s hit show “Border Wars”, which put him in challenging filming scenarios such as chasing drug smugglers and jumping out of black hawk helicopters in complete darkness. Steve’s experience in Reality Television and as a global cinematographer has given him a unique perspective and a passionate voice for cinematic storytelling. He has been fortunate to work with some of the best crews in the business and holds high standards as a result. Steve is based out of Reno, Nevada where he is currently focused on producing original content out of his downtown studio. Shane Saucedo is an award winning special effects artist, pyrotechnician, educator and founder of Studio HB LLC. Shane & Studio HB have lent artistry, acting, stunt coordination to countless productions; From major studio features such as Terminator 2, Total Recall, X-Men The Last Stand and The Omen to acclaimed Television shows such as Z Nation and Stargate SG-1 to iconic stage and theater productions like Sigfreud & Roy, The Ferco bros & The Magic of Eli Kerr. Along with partners Peter Kent, Rich Knight, and Colin Redmond, Shane is creative director for Studio HB. An industry staple in production solutions. In addition, he is an advisor on many boards in several industries ranging from museums, firearm coatings, and pyrotechnics shows all over the world, just to name a few. Always in high demand, Shane brings a unique skillset and a vast level experience to every project he touches.